A new SIP weekly update is abound. Destiny releases to the world next week. So, before you “Become Legend,” check out the latest news from the world of gaming! If you are picking up Destiny next week, we will see you online. Activision released the trailer for their next Call of Duty game 2 days earlier than planned. The big reveal was planned for this upcoming Sunday, but a news outlet leaked the info early so Activision decided to just release the trailer now. Introducing Call of Duty Advanced Warfare! COD Advanced Warfare will be developed by Sledgehammer Games and will be released on November 4th, 2014. To discuss more about the game, visit our brand new Call of Duty Advanced Warfare discussion thread. Activision has revealed the next DLC map pack for Call of Duty Ghosts. 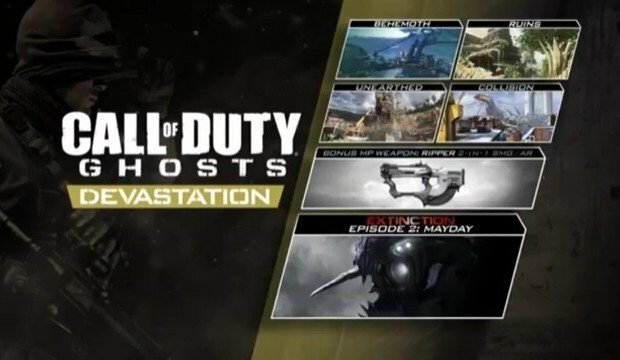 The map pack is called Devastation and contains 4 small to medium-sized maps, a brand new multiplayer weapon, and the next episode of Extinction. Check out more info after the jump. Activision has announced that their Call of Duty Elite service is shutting down completely this Friday, February 28th, 2014. 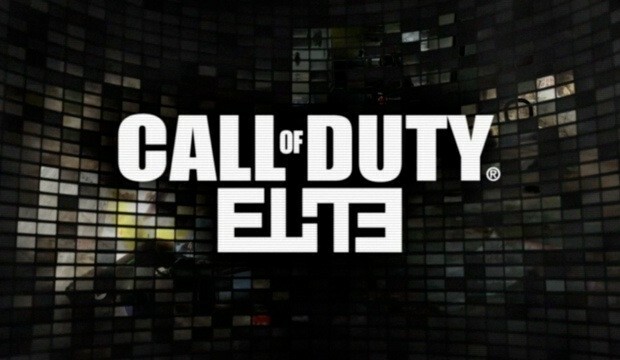 COD Elite was used for Modern Warfare 3 and Black Ops 2 but was phased out for the Call of Duty mobile app being used for COD Ghosts. After this Friday, you will no longer be able to access stats for MW3 and BO2 on mobile devices or the Elite website. However, you can still access those stats in the games themselves. If you want an extra incentive to use the Elite app or website one last time, here’s one. Any users who have logged into COD Elite after January 1st, 2014 will receive 2 hours of Double XP in COD Ghosts (at some point in the future). So, if you want that free Double XP, I suggest you login to the Elite app or callofduty.com/elite. Activision has provided a Shutdown FAQ with more information. To discuss more about Call of Duty, visit our COD discussion board. Activision this week revealed new micro items for Call of Duty Ghosts. 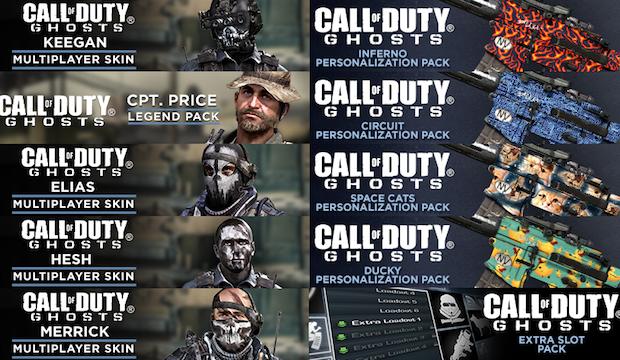 These are character and customization packs that are separate from the other DLC and Season Pass content. Find out more about the packs after the jump! Another Call of Duty: Ghosts clan war is in the books, this time in London. The SIP clan has come out on top by the narrowest of margins. This was the first time the SIP clan was placed in the Silver Division. Check out the final map after the break! A bunch of recent news and snippets has been dropped for Call of Duty: Ghosts. I’ll try my best to summarize it all here. In the spirit of the holiday season, Activision and Infinity Ward are releasing a Festive Personalization Pack for the low, low price of FREE! This personalization pack will include a unique “Holiday Sweater” Weapon Camo, and seasonally-themed Player Patch, Player Card, Reticle, and Player Background. This free personalization pack will be available for download from the in-game store on December 12th, 2013 for Xbox 360 and PC and on all other platforms by December 18th, 2013. I was asked to write up my impressions on the Xbox One system so far. I have owned the system since last Thursday when I got it a day early. However, I did not actually turn it on until midnight Friday so I wouldn’t get banned from Xbox Live. Here are my thoughts on the system so far and the Kinect sensor that is included. Call of Duty: Ghosts released to the world last week. Activision and Infinity Ward celebrated by turning on Double XP for the Xbox 360, PS3, and PC players. But what about the people waiting for just the next-generation consoles? Will they get Double XP as well? 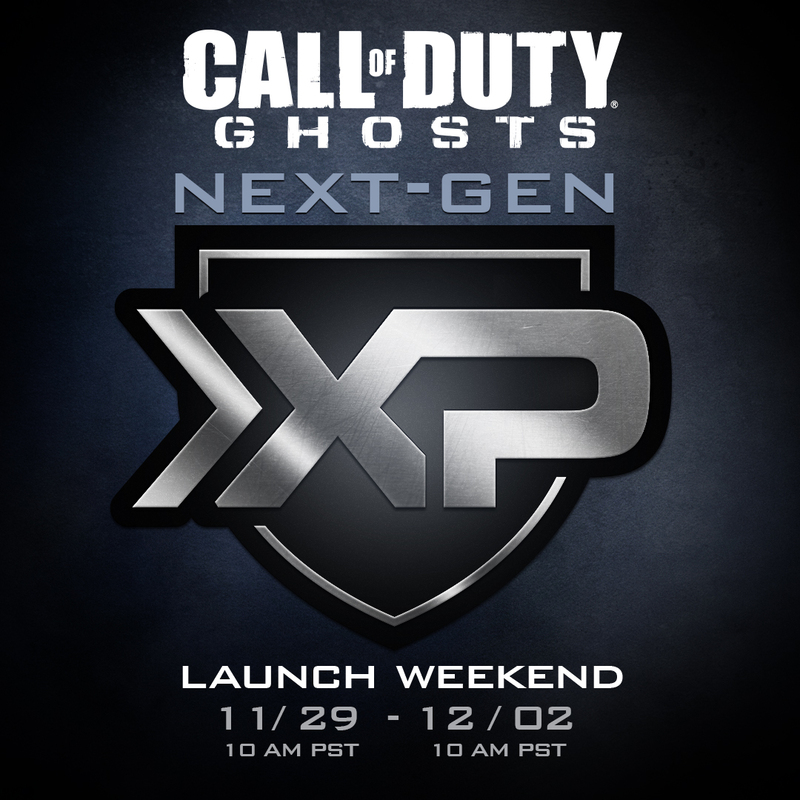 Activision hasn’t forgotten them and has announced a Next-Gen Double XP weekend for those players as well.